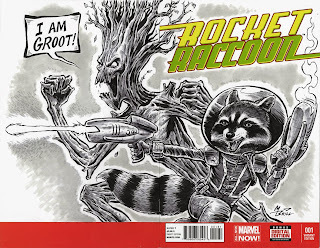 THE BRILLUSTRATOR: Rocket Raccoon #1...sort of! 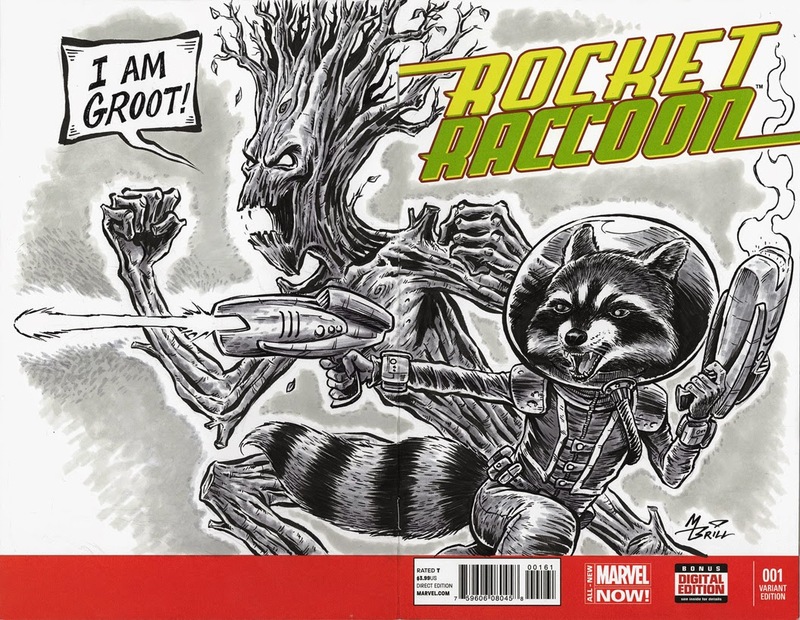 So I bought a couple of copies of Rocket Raccoon with the variant "sketch covers" at my local comic book store and created this artwork over the weekend. Overall I am fairly happy with the way it turned out, but it is creating a bit of confusion after I posted it on Facebook. People keep thinking that I did the actual published art for the book and not just a cover piece on a blank-cover copy of the book.